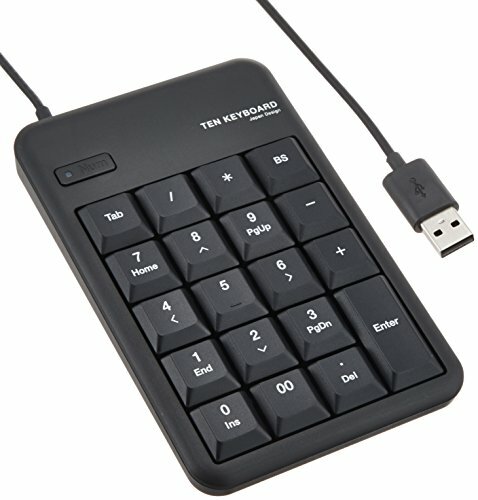 It is the standard USB ten keyboard that is optimal for use with a laptop computer. Equipped with a convenient [Tab] key for working in Excel and a convenient  key for entering numbers. Input efficiency improves with large keys. "NumLock" problem is solved by hardware, installation of countermeasure software is unnecessary. Equipped with an LED lamp that shows NumLock on / off status at a glance. Since it is a USB connection, plugging in and out is possible even when the PC's power is on. It is unnecessary to install the special driver etc., you can use it immediately by connecting to the USB port of the personal computer. We adopt a strong key that can withstand up to 10 million keystrokes.